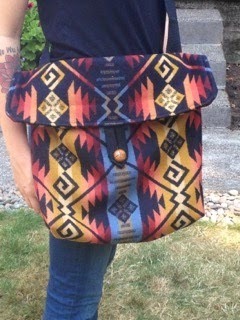 This is a picture of an awesome bag, made by customer Jean, that we last posted in 2014. We we were thrilled to receive this picture back then, and we have missed sharing all your great projects since then. If you sent us a project and we missed it, please send them again to our email, WoolenMillStore@penwool.com. 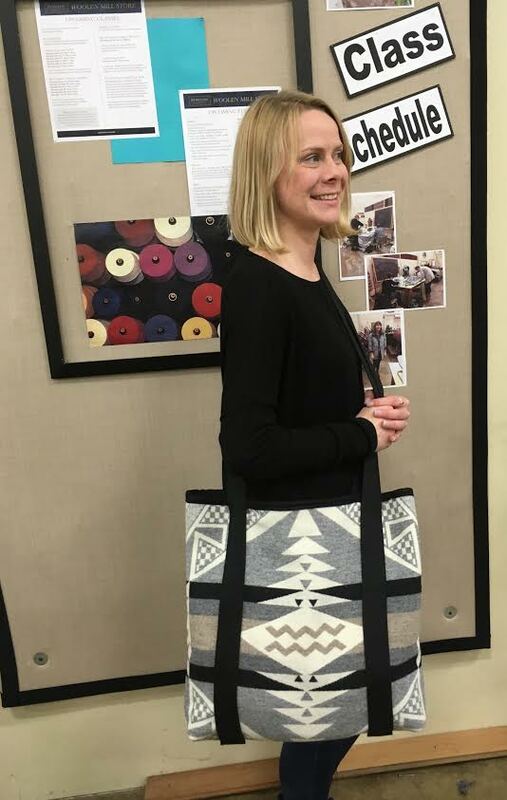 This bag was made using our Coyote Butte fabric in black, using our Fastest Bag in the West pattern. Just in case you're inspired to make a bag of your own, this fabric is also available in turquoise. You can see all of our blanket-weight jacquards here.